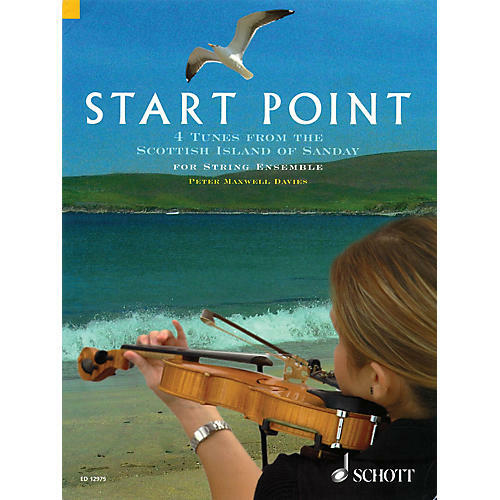 Start Point is a collection of four tunes written for the Sanday Fiddle Club.First performed in their entirety in 2006 at the St Magnus Festival, the names of the tunes are names of places on the Orkney Islands, where Maxwell Davies has lived since the 1970s. Evocative, unassuming, and accessible, the appealing character and flexibility of these works reflects their genesis. They are suited to a variety of purposes and could be played by both string quartet and string ensemble.